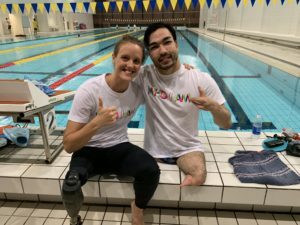 Two Paralympic legends: Ellie Cole from Australia and Daniel Dias from Brazil who are staying in Japan for events came visit us training last night! It was lovely to see my old friends who know each other for more than 10 years for the first time since Pan Pacs in August. I had a great time to catch up with them! I look forward to seeing them again at the world championships next year! 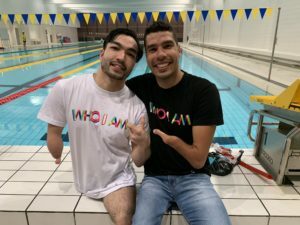 I would like to win many golds in the Paralympic Games like them! haha..
Hope they have an amazing time in Japan!